The Lamy Safari range is one of the most iconic Lamy pens designed by Wolfgang Fabian and has been in production since 1980! Made of sturdy ABS plastic and a stainless steel nib, the Lamy Safari offers the user an extremely comfortable writing experience. The Lamy Safari fountain pen even has a front window built into the body of the pen so you know when your ink is running low. The Lamy Safari isn't just popular among school children, it's such a great choice among college students and businessmen and women too. 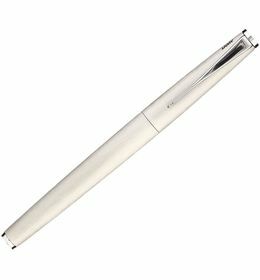 With more contemporary finishes to choose from such as the matte black or white, this pen looks perfect on any desk! 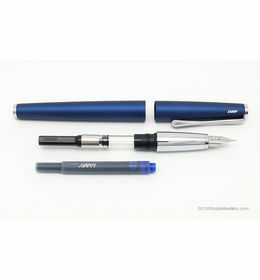 The Lamy Safari is available in a variety of different colours including Yellow, Blue, Red, White, Matte Black, Shiny Black and Transparent (Vista Series).The Pen is 5 1/2 inches Capped and 6 1/2 posted. • Flexible clip of spring brass wire, perfect for putting the pen in your pocket! • Stainless steel nib available in a variety of nib sizes. • The LAMY Safari uses the LAMY T10 Ink cartridges, which are available in a variety of colours. Please do not use other ink cartridges with the LAMY Safari. • The Lamy Safari Apple Green was a Special Edition colour that is now a core colour of the Lamy Safari Series. The Lamy Safari range is one of the most iconic Lamy pens designed by Wolfgang Fabian and has been in production since 1980! 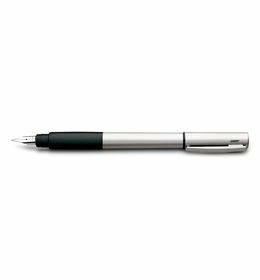 Made of sturdy ABS plastic and a stainless steel nib, the Lamy Safari offers the user an extremely comfortable writing experience. The Lamy Safari fountain pen even has a front window built into the body of the pen so you know when your ink is running low. The Lamy Safari isn't just popular among school children, it's such a great choice among college students and businessmen and women too. 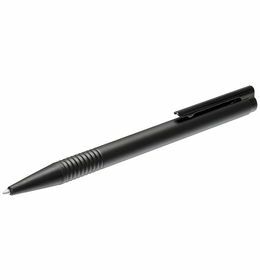 With more contemporary finishes to choose from such as the matte black or white, this pen looks perfect on any desk! The Lamy Safari is available in a variety of different colours including Yellow, Blue, Red, White, Matte Black, Shiny Black and Transparent (Vista Series).The Pen is 5 1/2 inches Capped and 6 1/2 posted. Product Features: • Flexible clip of spring brass wire, perfect for putting the pen in your pocket! • Two big windows serve as control for the contents of the ink cartridge • Stainless steel nib available in a variety of nib sizes. • This fountain pen is ready to be used with ink cartridges. In order to use bottled ink, please purchase the Z28 Ink converter with the pen • The LAMY Safari uses the LAMY T10 Ink cartridges, which are available in a variety of colours. Please do not use other ink cartridges with the LAMY Safari. 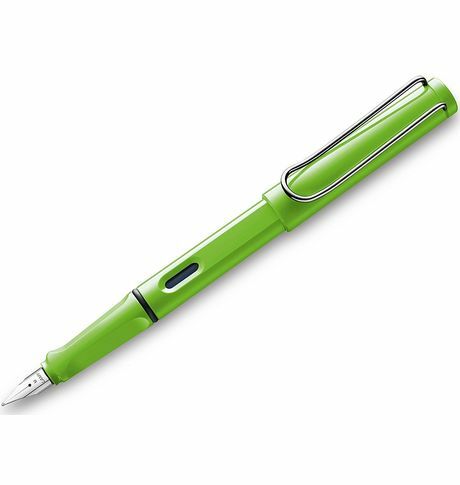 • The Lamy Safari Apple Green was a Special Edition colour that is now a core colour of the Lamy Safari Series. Cancellation and Return Policy: • Cancellation: Upto 24 hours of departure is fine • Returns: No returns/exchange or refund. • Warranty as per our standard warranty conditions.